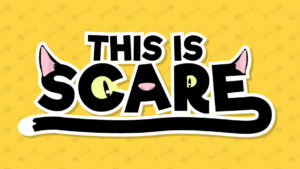 Experience, design and engineering company Dare has launched an interactive charity web app: ‘This is Scare’. It aims to raise awareness and prompt action for people to adopt black cats, who have a hard time being re-homed, particularly around Halloween. 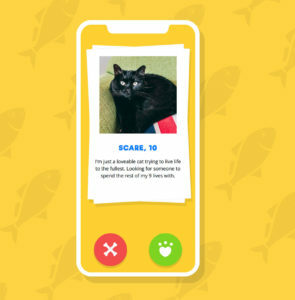 The site, which mimics a well-known dating app that rhymes with ‘Cinder’, urges users to swipe left or right through a series of cats’ profiles. When they swipe on Scare, the sole black cat, users will enter a chat with the witty cat-bot. Scare highlights the difficulties black cats face when looking for new homes, before prompting a match to make a donation and maybe even think about adopting a kitty themselves. On average, according to RSPCA data, it takes 30.5% longer to re-home a black cat than a tabby cat, and 70% of the RSPCA’s cats in care are either black or black and white. All donations will be split equally between Battersea Dogs & Cats Home, Cats Protection and Blue Cross. You can donate here.